UPDATE 6:35 PM — 3 more teasers! LEGO Dimensions is set to show off “what is coming next” to the franchise on Thursday, but in the mean time they’ve been teasing out clues on their various social media platforms. First, I’ll share all the various clues, and then end with a recap of previous leaks of what we can expect! Batman crashing through the rocks. 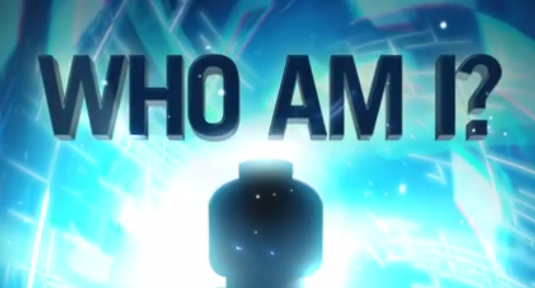 Is it just a teaser or is the cave a hint at a new franchise coming to LEGO Dimensions? Everything from the LEGO Dimensions team seems to be calculated, so it may be a hint! “Only I can live forever, I’m a true riddle”. That only matches on person, Lord Voldemort from Harry Potter! This one is actually a two-for-one! First off, if you look at the background it looks very similar to that of the pillow Kingdom in Adventure Time. Also, the version embedded above is actually an edited version of one they published earlier. In the “extended” version they published earlier, if you paused the video right away you caught a glimpse of Gizmo from Gremlins. This is based off the Teen Titans Go show. Hmmm… goonies wishing well? Sonic gold ring? This one isn’t AS obvious. So what has leaked already? The only two things we have seen so far are both #71340 Supergirl and #71342 Green Arrow. Both are coming (at least) in a polybag. Supergirl has the words “exclusive” written across her bag, while Green Arrow has the words “Limited Edition”. It appears both are set for some kind of special release at E3. But how exactly will they be distributed? We’ll have to wait and see. In addition, we still aren’t sure if these will indeed be exclusive to trade shows (we know they will be released beyond E3 in some capacity). Rumors have been saying for a while that Supergirl may be included in a rebundled Starter Pack, but that is far from official at this point. 71258 ET 1 <– E.T. Some of these sets but some are still up for debate. So don’t take this list as official. The big question is are these all the “year 2” releases? Or is this list just a mixture of some early wave releases? One of the problems of not releasing a true new “game” is it may not require them to release a bunch of packs at once to push the new content. Obviously they could release a few waves of 3-5 packs at a time, like they did after the initial wave 1 last year. But two Harry Potter packs? Has to be more than that coming, right? The pack numbers above, in my opinion, are far from the most intriguing thing from that leaked list. Another issue brought up with LEGO Dimensions not releasing a second full game this year is how they will handle adding story content to the game. Would just releasing more fun packs and level packs be able to sustain LEGO Dimensions for a couple of years? Hard to say. I’ve theorized that they could create a new pack called a “Story” pack, that adds more story modes beyond what the Level Pack does. The Level Packs just feature some levels in that franchises specific world. So a Story Pack would add that value you expect out of a new game each year, without having to release a new Starter Pack. Some people have theorized that these connectables could be a mini LEGO set themed from one of the franchises, that you physically attach to your LEGO Dimensions portal. What are your thoughts? I’m excited none-the-less! I will be at E3, so be sure to follow me on twitter @BrickInq and on my personal profile @JasonInquires to get all the latest!